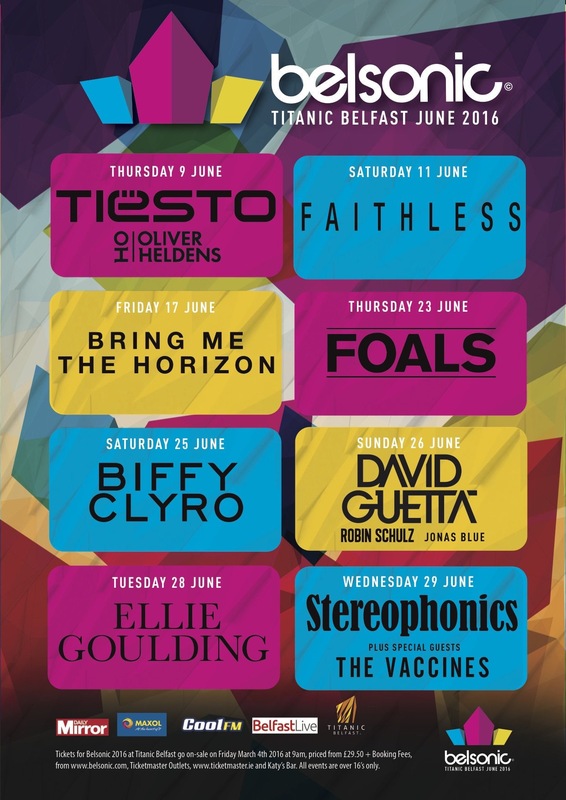 Tiesto, Faithless, Bring Me the Horizon, Foals, Biffy Clyro, David Guetta, Ellie Goulding and Stereophonics have been announced as this year’s Belsonic headliners. 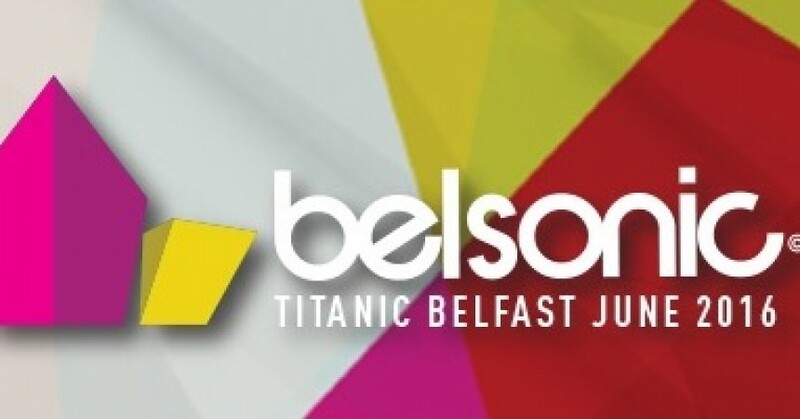 The Belsonic concerts, which have taken place annually in August at Custom House Square in Belfast since 2008 will this year take place on Thursday 9th, Saturday 11th, Friday 17th, Thursday 23rd, Saturday 25th, Sunday 26th, Tuesday 28th and Wednesday 29th June at Belfast Titanic site. Also announced are Oliver Heldens, as support for Tiesto; Robin Schulz and Jonas Blue who will support David Guetta; and The Vaccines, who will support Stereophonics. 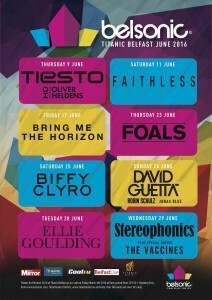 Belsonic 2015 was headlined by Rudimental, Paloma Faith, Stereophonics, Above & Beyond, Bastille and All Time Low. Tickets on sale Friday 4th March!